U.S. equity index futures were lower this morning. S&P 500 futures were down 6 points in pre-opening trade. Investors are waiting for news related to trade negotiations between China and the U.S. 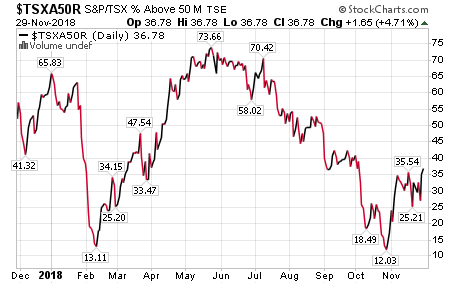 The Canadian Dollar dipped 0.25 to U.S.75.04 cents after September GDP was released. Consensus was annualized growth at a 2.3% rate. Actual was 2.1%. 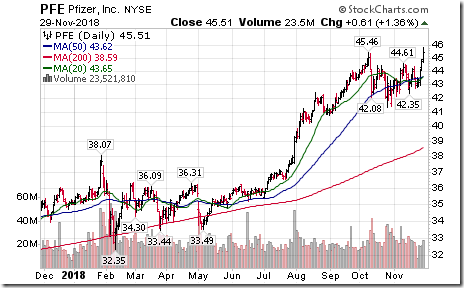 Hewlett Packard (HPQ $22.86) is expected to open higher after announcing higher than consensus fiscal fourth quarter earnings. 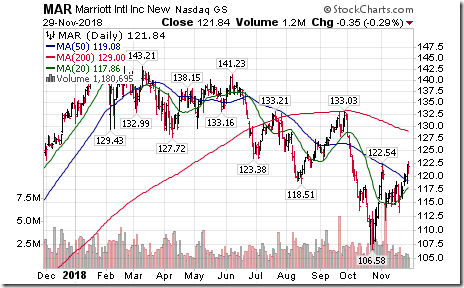 Marriott dropped $7.04 to $114.80 after the company announced a data breach of its computer system. 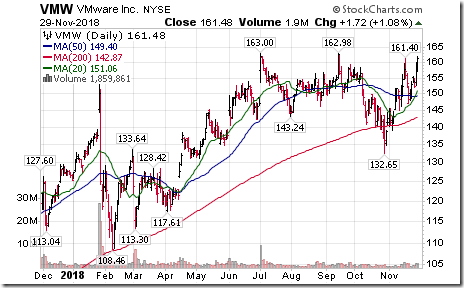 VMWare gained $11.52 to $173.00 after the company announced higher than consensus quarterly results. 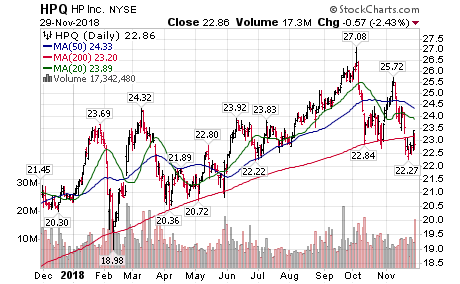 Stifel Nicolaus, JP Morgan, Raymond James and Wedbush raised their target price on the stock. 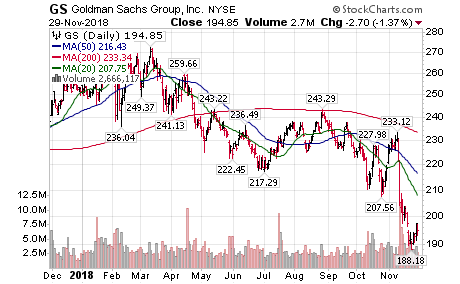 Goldman Sachs dropped $3.59 to $191.26 after Bank of America/Merrill downgraded the stock to Neutral from Buy. Mr. Vialoux was interviewed on Wolfgang Klein’s “Wolf on Bay Street” weekly show to be broadcast at 7:00 AM EST tomorrow (Saturday) on Hi Fi Radio 640. 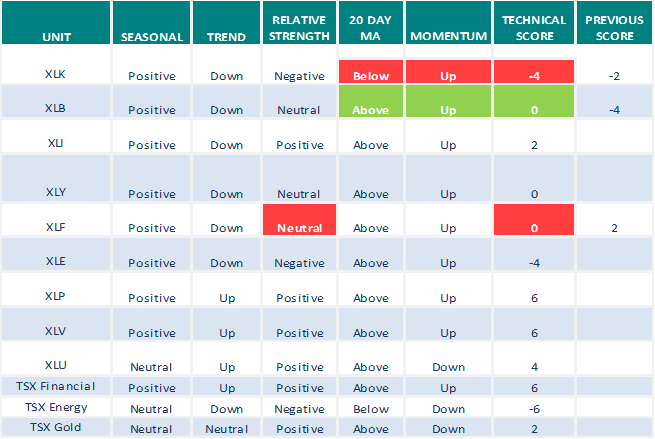 Comments included discussion on how equity markets are setting up for the Santa Claus rally. Editor’s Note: After 10:30 AM EST, breakouts included FAST, TDG, YUM, HCA, PFE, LRCX, KEYS, CI, AMGN, CINF and PKI. No breakdowns. 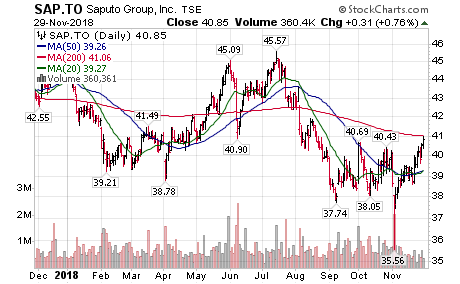 Saputo $SAP.CA, a TSX 60 stock moved above $40.69 setting an intermediate uptrend. 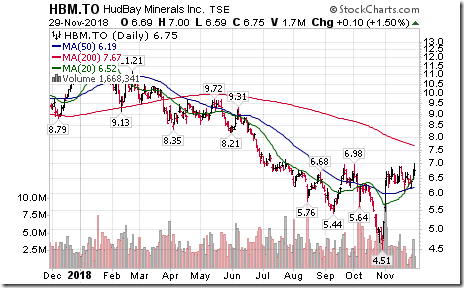 HudBay Minerals $HBM.CA moved above $6.98 setting an intermediate uptrend. 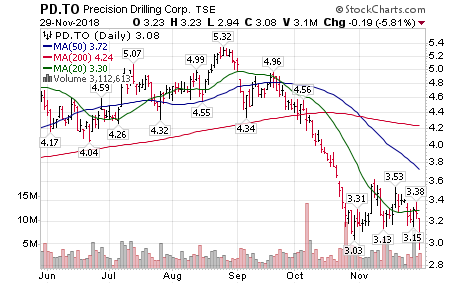 Precision Drilling $PD.CA $PDS moved below $3.03 Cdn and $2.31 U.S. extending an intermediate downtrend. 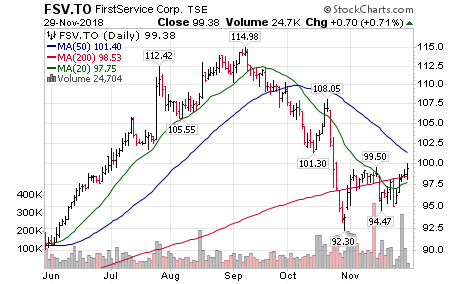 FirstService $FSV.CA moved above $99.50 setting an intermediate uptrend. 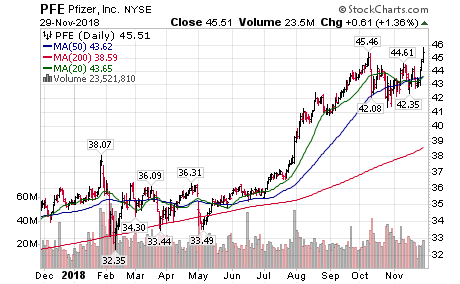 Pfizer $PFE, a Dow Jones Industrial stock moved above $45.46 to an all-time high extending an intermediate uptrend. The Barometer slipped 1.80 to 49.80 yesterday. It remains Intermediate Neutral. The Barometer gained 1.65 to 36.78 yesterday. 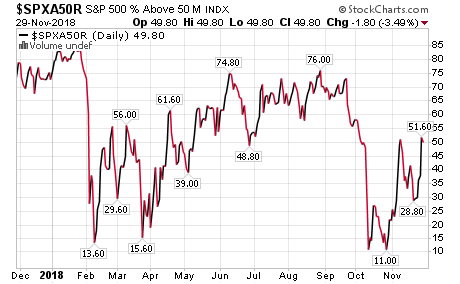 It remains Intermediate Oversold and trending higher. Thanks for the links to ADX. I’ve read the explanation of them before but prefer the other indicators that are more visual. When I look at a chart and see all the indicators I consider important I get a gut feeling about where price is and going as the chart is collectively telling a story. But with seeing ADX on a chart I find it distorts that evaluation. It’s just the way my own mind works I suppose. Here is a chart of the TNX which is the U.S.10 year Yield chart. Price has pulled back to the closely followed 3% level which is the breakout point of the 31 year falling channel plus the top of a 7 year price channel. More dovish talk from the U.S.Fed has brought the rate down. Will be important to see what effect this change in sentiment brings. 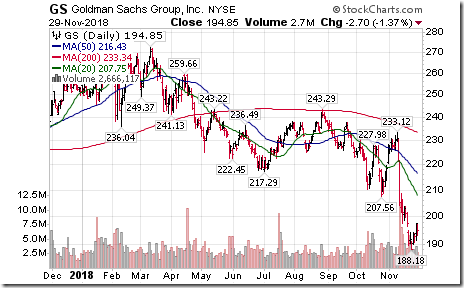 Thanks for your comments.What you say about how you get a gut feeling about where price is going when you see your indicators is what I can say about ADX and the +D and –D. When I see ADX rising from a low level, with +DI crossing above –DI, I feel much more confident that there is a strong up trend beginning. And since I have trouble believing in trends, I need all the help I can get in seeing and staying with a trend. Here is the same EEM chart with more vertical lines showing where the trend changes were over the last year. I use green for up, down for red, and blue for when the trend is no longer up or down (the ADX is falling). There are more lines I could have drawn but am trying not to clutter up the chart too much. 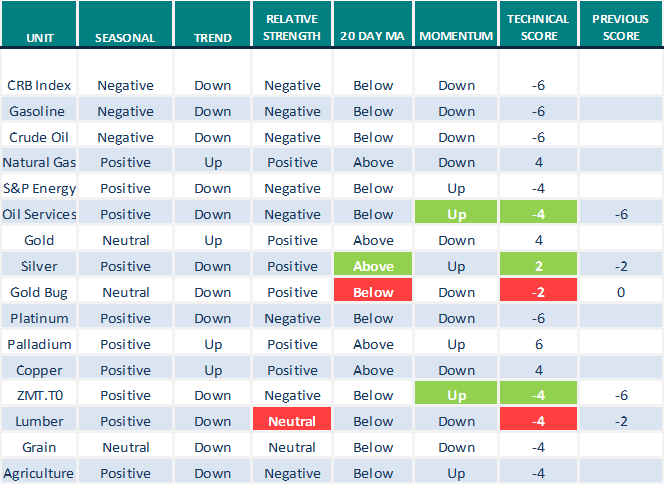 Notice that at a glance you can see that most of the vertical lines this year have been red, which shows how the main trend has been bearish. Notice that the last couple of times the –DI crosses above the +DI, they made a series of lower peaks and the ADX was falling. This was a strong indicator that the bear is running out of steam. I am showing this with a faint blue trendline drawn across the tops of the –DI peaks in October and November. Of course, no indicator is perfect and there can be whipsaws… and I am not trying to convince you, or anyone else, just trying to show how I look at a chart. I’ve gone over your chart with ADX 14 and thought about the +D1 and -D1 signals and noticed a lot of whipsaws much like any indicator that is too short a period for the symbol it’s used on. I’ve placed below ADX 14 a modified version with a longer time frame to reduce the whipsaws with ADX 21, ADX 34 and ADX 50 and see that the ADX 50 makes reading the bullish or bearish trend very easy. I’ve put on a green dotted vertical line on the bullish crossover of +D1 above -D1 and it shows it ‘consistently’ staying above -D1 until just after the ‘price’ high. And I put a red vertical dotted line on the bearish crossover of -D1 below the +D1 which has consistently remained below +D1 ever since. In that sense I can see the value of the indicator. One could tweak the indicator length depending on the volatility of the stock to fine tune signals but eliminating whipsaws is something I consider important being more short term orientated. Whipsaws can be costly each time. Perhaps you find other factors in this indicator as important or more so but I just thought lengthening the time frame would improve the indicator at least from my point of view. That’s a really good idea! Lengthening the time frame. I will have to study your chart over the weekend. Thanks! I typed my post earlier today without reading the comments and then had to leave at 12:30 pm. Haha. After all these years of looking up,I am not in bull mode anymore. I haven’t posted much but I think you might have missed my posts from OCT when I posted that EW have taken 3225 SPX of the table and looking for 20-30% correction. I also posted about the Boys taking people for the ride to distribute more inventory soon. This looks like the part of it. However we need a pullback here to towards 2700 as posted on that day to load up. Going straight thru might just end this train around 2850 before the big bad C take us towards 2200. But I am still a trader. So if we have a B wave pullup which this might be then we need to take advantage of it.In the end it still a game of probability not certainty. Just adding one more thing to #7. Since Trump is in Whitehouse, there are always problems, collusions and espionage stories.And market went up 1000 points! When Trump started talking about trade wars , SPX went up 9% from June to Sept. And remember what time Market topped?? When Canada Signed NAFTA deal! That is a big Lol. So these stories are noise. We need to ignore the noise. 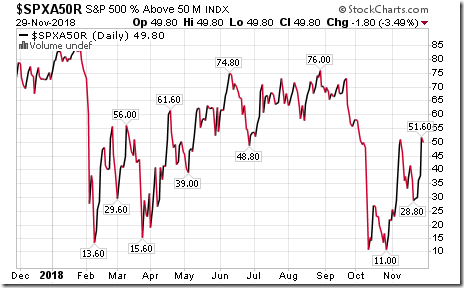 There are people like Zero Hedge who are claiming Market will tank since 2009 major low. They will be right one day. Even a broken clock is right twice a day. We as traders need to know what is ahead of us and how to trade that and turn off CNBC. 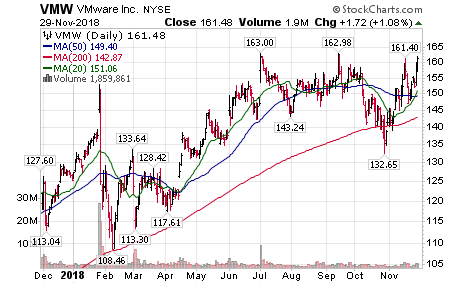 Breakout of a 16-month trading range on Friday with above average volume. 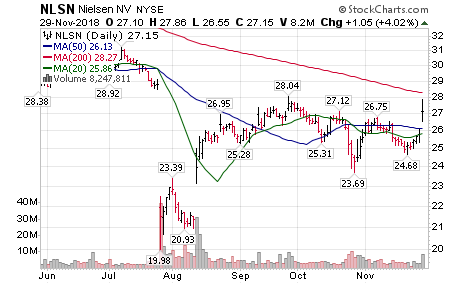 There are lots of things to like about the chart, which suggests this may be a “potential” entry point. 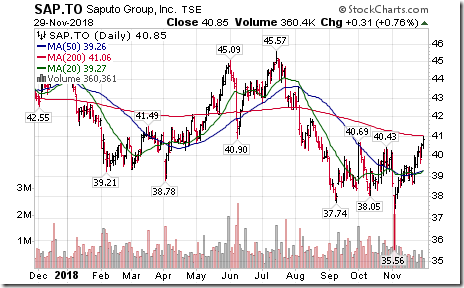 On the weekly chart: the SCTR is above 75 (ie. 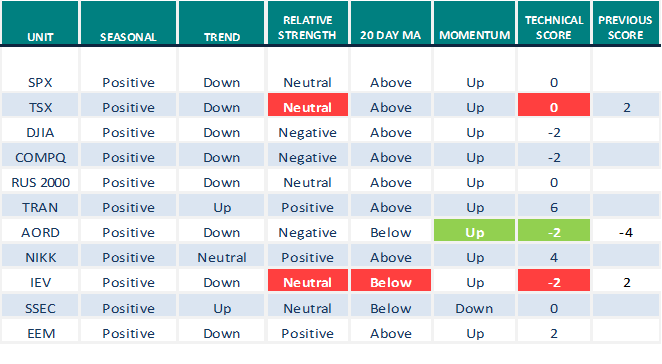 in bullish territory), the conventional MACD is above the zero-level and turning-up from the signal line, and RSI(21) is in bullish territory. On the ADX plot; +DI has become dominant by crossing above -DI with the ADX flat and potentially set to recover from a very low level (ie. below 15). No guarantees on this one. There is no trend to be your friend. 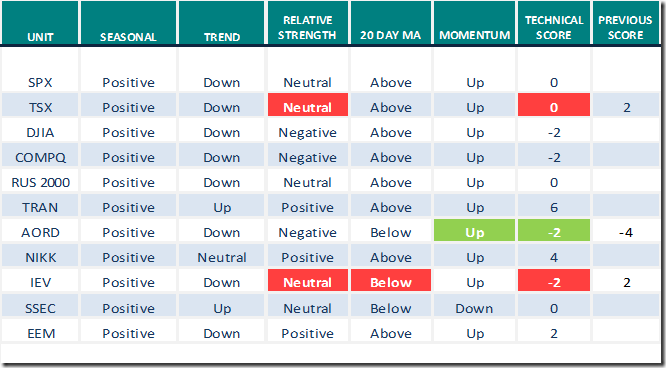 B/O of trading ranges are potentially very dangerous and can sometimes be followed by a sudden and strong move to the downside if the price falls back into the trading range. 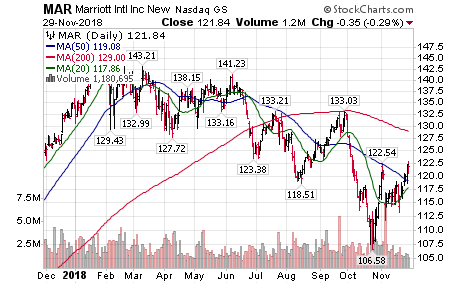 Lots of people have been holding this stock for upwards of a year with no substantial gains and no dividends. If the price does start to weaken, many people could through in their hat and look for greener pastures. 1. The crossover of the +D and –D lines are important and necessary to understand the ADX line but I also look at turning points in the ADX itself (my blue vertical lines). I notice that these are not as distinct on the longer time frames. When the ADX is no longer going up, that indicates a change in what was previously a strong trend, up or down. I see you have written in blue “warning of trend change?” on the ADX(50) time frame in the February – March area. This may be interpreted from the –D (red) and +D (green) lines chopping in a narrow consolidation. Or, look at the ADX(14) and see the sharp drop in the ADX, with the green line dropping below the ADX before dropping below the red line. 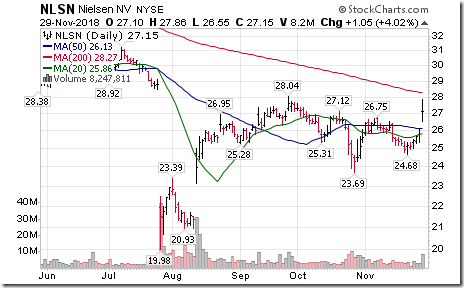 This is where my blue vertical line is drawn in early February and lines up well with both RSI(8) and RSI(21). This is not visible in the ADX(50)frame and is more coincident in the ADX(21)frame (green crosses below ADX and red line about the same time). 2. 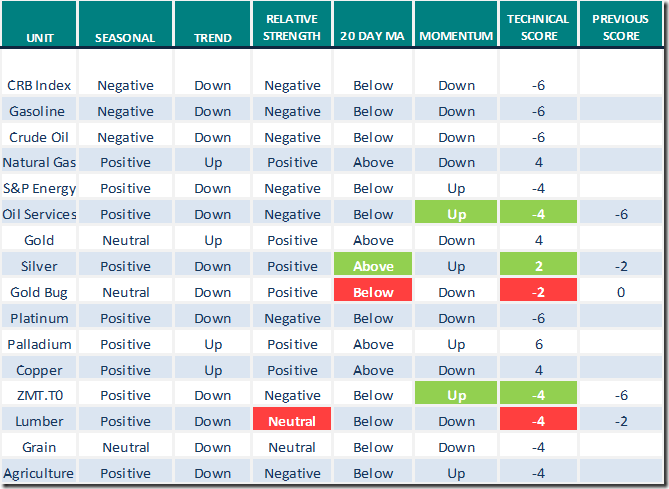 In this example with EEM, the up trend was very strong, as can be seen by the extreme over bought RSI(8) and (21), so those can be good confirming indicators when dropping below the 70 level. The drop comes quite a bit before the distinctive cross over of the red above the green in the ADX(50) frame. 3. I also look at the strength in the trend of the green and red lines and where they are in relation to the ADX. In my chart, I show the lower highs in the red line since mid-October, as the ADX(14) is declining since its most recent peak in early November. This indicates a weakening in the down trend and possible change in trend to reverse up, at least short term. 4. It may be that I have gotten so used to looking at ADX(14) that I have a bias towards it and am reluctant to change – like how you feel your indicators are more visual and give you a gut feeling that you are more comfortable with. 5. Since you are short term oriented, wouldn’t shorter time frames be more relevant to you? I do appreciate your efforts to look at ADX even though I know you don’t like it. Maybe the +D and –D (green and red) will possibly be of some use to you. I have ADX(14) highlighted as one of my indicators on all my charts including intraday, but can’t say I really understand it. Maybe the main reason I haven’t dropped it is out of respect for Welles Wilder. The 20 and 30 levels seem to be important. Drops below the 30 level by the red line can confirm reversals at short term bottoms, and drops below the 30 level by the green line can confirm short term tops. Sharp reversals of the green or red line can confirm reversals and also deserve attention. The black line is too slow for my trading style, or maybe I just don’t understand how to use it. For trend confirmation, I think it was one of the bloggers from stockcharts using full stochastics (70,3,3) which seems to do a decent job. The first # can be adjusted to make it faster or slower depending on trading style. 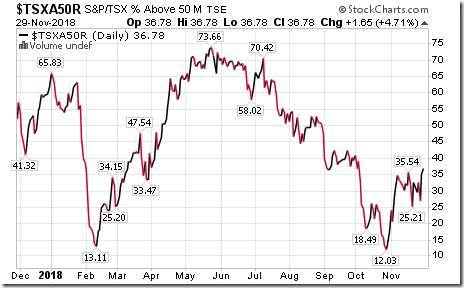 “Nothing has change with the broader view of the share market. Federal Reserve Chairman Jerome Powell’ statement that interest rates are close to neutral is a far more reaching statement that meets the eye. The winds behind the curtain are blowing hard against the banking system in the Eurozone. Powell is caught between a rock and a very hard place. On the one hand he desperately needs to keep moving rates higher to try to avert a massive pension crisis building in the state and municipal level. On the other hand, lobbying is growing intense for the Fed to please DO NOT RAISE RATES. The risk of a European banking crisis begins in December and builds with intensity into January. The EU is even putting pressure on Switzerland to sign what is known as the framework agreement and gave them a deadline by December 7th. The so-called framework agreement being discussed covers five of the larger bilateral deals: free movement of persons, mutual recognition on conformity assessment, agricultural products, air transport and land transport. Measures related to the free movement of persons are the main stumbling block. The share price of Deutsche Bank has been continually declining with little note from mainstream press. The deadly silence about the European Banking Crisis is very unsettling. There has been considerable lobbying against the Fed to stop raising interest rates. The ECB cannot raise rates in the face of a banking crisis without fear of pushing Europe off the edge. We should expect volatility to begin to rise in December and our key turning points are January and March. So get ready. The fun times are just beginning. Thanks for the update on ADX. I noticed the RSI 21 50 line and the Long Modified 50,200,20 MACD are both on the verge of a buy signal. But on the verge also means at resistance,lol. The ADX 50 being so much longer is like most indicators that are longer with the effect they are not as timely. I’ve found that the short term indicators give a lot of buy and sell signals but many are just whipsaws which take you in and out quickly with a loss most of the time even if you are disciplined. I prefer an indicator that doesn’t ‘speak’ often but when it does there are high odds of it being meaningful. Something else I noticed was when the +D spiked higher such as in March and July 2017 and again in January 2018 it signaled a top in price. This is typical of a spiking indicator that climaxes. I’ve read it referred to as a ‘stretch’ and is usually talking about price stretching far above a 200ema or 50ema. 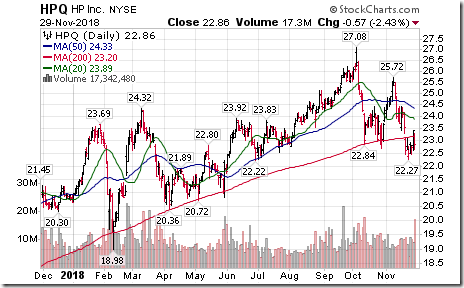 Stretches are something I look for as most are impressed with big bullish price moves and the financial media hypes it up with the euphoria. But indicators also spike and are warnings of a terminal move at least in the short term. One could call it a blow off high as well. At the same time I do use the RSI 8 and sometimes the RSI 4 if needed to get signals due to low volatility. But even the RSI 8 will usually go a long time before a buy signal shows up and while short is usually good for a swing trade. With some volatile charts the RSI 8 is way too short and gives multiple buy signals which is nothing but whipsaws. And the RSI 8 gives false buy signals in sharp downtrends crossing back above the 30 line with a price bounce for a day or so and then new price lows over and over again. It is a terrible indicator in downtrends. Over all when all is said and done the basic price patterns are the most reliable but even they can be trounced with surprising news. And it this world of constant chaos you can just about count on surprising news. 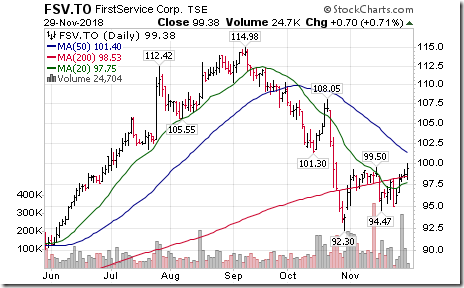 tnx for the Armstrong update Sherri……..
Interestingly, on the daily chart Air Canada has closed just below resistance at $29.11. 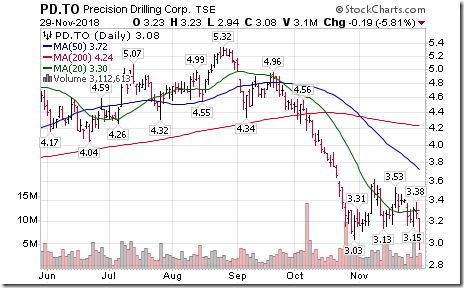 The share price looks overbought with a spike in value last week. 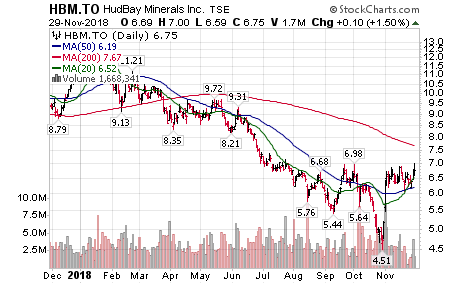 The share price is also well above the moving average curve which suggests that taking an entry position here would be paying a premium. The breakout on the weekly chart is much less convincing when viewed from the daily chart.